United Cars are a well-established Crawley taxi, Minibus and Chauffeur company. We offer a comprehensive service throughout Crawley and West Sussex area. We specialise in Airport Transfers from Crawley to all major UK airports including Heathrow, Gatwick, Luton, London City and Stansted. We cater for a variety of occasions with our comprehensive range of vehicles to meet every possible demand including taxis in Crawley for individuals, group travel, business travel, and corporate accounts. Economical and a budget price, local and long distance travel. We will not be beaten on what this range offers. Mercedes E Class - most popular choice for business, airport transfers, weddings and corporate events. Carrys upto 6 passengers for customers travelling in groups/family with children, most common transport for taxi journeys. 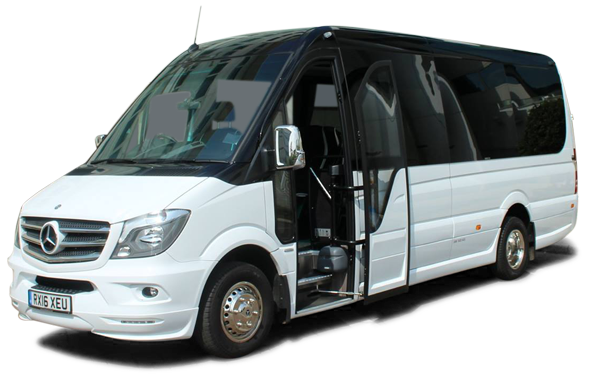 8 seated minibus transport service that can be used to transfer large numbers of passengers / extra baggage to various venues. * When the service is specifically requested at an additional cost. † Optional on some vehicles. ** Pictures are for illustration purposes only. The actual models of vehicles may be different.